With the commercial increasing pressure on ski resorts to open early and with good skiing conditions, snow farming has been recognized as one of the most powerful and eco-friendly way to achieve this. Faced with rising temperatures, ski resorts are preserving last year’s snow by storing it under tarps or saw-dust. It’s a low-tech way to start the next season with an inherited base and colder ground temperatures. The methods have proven successful for multiple resorts and are an important part to their success in the weeks before Christmas. Snow farming refers to the practice of preventing snow from melting by making huge mounds of snow and protecting them with insulating materials. On the very last day of operation snow is collected to form a large pile and is brought to a so-called snow depot. With the aid of snow groomers, the snow is shaped into a trapeze and compacted. Afterwards, the snow depot is insulated with hard foam boards or in deeper layers with wood chips or sawdust. To additionally protect the snow from water ingress, a silo foil is laid over it. The last layer consists of fleece, which protects the snow from sun and UV radiation. Snow settles in the depot and it begins to crystallize. It is thus more resistant than freshly fallen natural snow. Farmed snow is usually used to create cross-country ski trails and shore up terrain parks and pistes not high enough to be covered by snow-making guns, which require cold temperatures to turn water into snow. Snow farming has been used in Scandinavia for more than 20 years to prepare the first cross-country ski trails. In the meantime, the use of snow depots has also spread to the Alpine ski resorts. Snow Farming celebrates a ten-year success story in the Swiss snow sports region Davos Klosters. Since 2008 Davos has been burying snow slopeside under sawdust, which has both cooling and protective properties, before redistributing it across the mountain in December. The project, which began as an experiment, has been transformed into a 20,000 cubic meter snow depot to this day. The resort estimates that it can retain 70 to 80 per cent of the volume of snow using this method, meaning the resort can open earlier in the season, regardless of mild pre-season temperatures. One of the lowest altitude major ski areas in the Alps, Kitzbühel, snow farming has been so successful that it’s stretched the ski season from as early as mid-October to May. For some years, Kitzbühel has been trying to be the first alpine ski resort outside of the glacier regions by means of snow farming, which goes into operation in the fall - at least in some areas. Kitzbühel, has now committed itsef to a 200+ day ski season in its advertising. This year - at summer temperatures of 20 degrees Celsius - ski slopes with snow from the previous year went into operation on the Resterhöhe on October 13 and on the Hahnenkamm on October 26. Seefeld has been using snow farming for several years. Their use of snow farming enables winter athletes to train through the summer months. Its method of conservation uses wood chips to cover snow and is free from chemicals. Despite being the highest ski resort in Europe and one of the most snow-sure winter destinations in the world, Val Thorens is also investing a reported in snow farming according to the French website The Connexion. 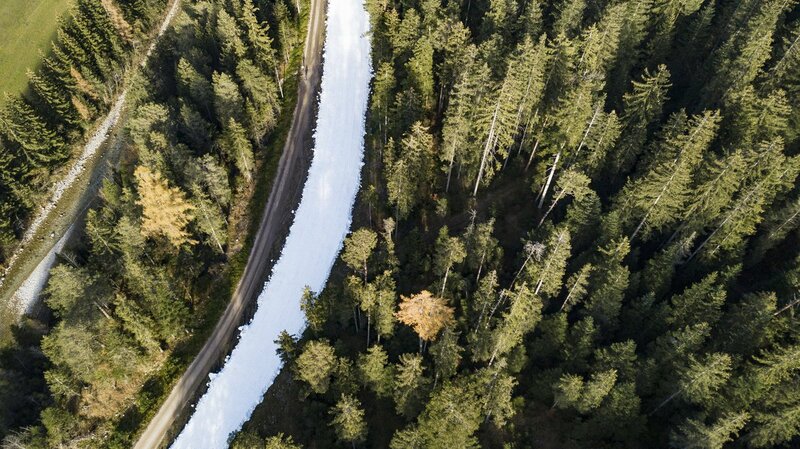 They will use their preserved snow at the beginning of next winter to prepare Nordic trails, ski runs and jumps. Snow farming will continue to establish itself in the ski regions in the coming years and gain in importance. Tourism companies and ski lift operators are feeling an ever shorter season. To ensure winter tourism and professional winter sports in our latitudes, it will be necessary - more than ever before - to find effective and sustainable answers to the shortened winters. In a business that’s dependent on having a strong holiday week between Christmas and New Year’s, being prepared and securing a head-start is essential. Not every winter we can expect such enormous snow masses and dreamlike conditions. Snow farming has allowed resorts to overcome seasons where Mother Nature doesn’t cooperate. In the uncertain preseason months, these resorts will have piles of reliable snow to harvest making snow farming a practical and eco-friendly solution.